You've been on my mind a LOT lately, even more than usual. It's hard NOT to think of you when it's time for the Super Bowl. That's because your party in 2008 was the last time I saw you, heard your laugh, got to hug you and say "I love you." I haven't wanted to go to a Super Bowl party since and couldn't figure out why... NOW it makes sense. Still, this year my emotions have been unusually intense, more sadness and another surge of crushing grief. Oh, sweetie, so much has changed, and you aren't physically here to share it with us. That must be why I feel differently this year... How much would you LOVE to visit your little sister Aubrey in Colorado, and be Sierra's Uncle Scott in every corporeal way? The last time I blogged was to tell you about the 2011 Super Bowl, Green Bay vs Steelers. It reminded me of the match-up in 2008, and how all of us at your party cheered on young Eli Manning and the New York Giants against the despised Patriots. Then in 2012, the Giants beat the Patriots AGAIN... All those games were TRULY very happy celebrations. 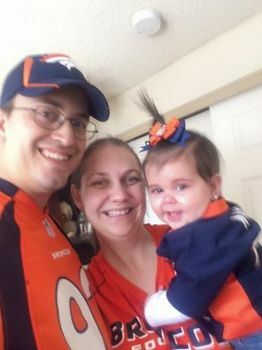 This year's match-up is also exciting: Carolina Panthers, with the best record this year and an excellent clean-playing reputation, vs Denver Broncos, which is Aubrey's hometown team and has my favorite current quarterback, Peyton Manning. When the Broncos beat the Patriots to win their conference, I'm sure they heard us cheering from here in California! So I'm writing today to put on paper how much I miss you, and how sad I am that you aren't able to hug and hold your niece Sierra. I'm also trying to find a solid bit of happiness in this roller coaster of a day; something to hold onto through February, as the anniversary of your death comes round again. Being your and Aubs' Mom is the highlight of my Life! Be well with those you love and have always your beautiful son in your mind. Praying you will be comforted in your grief. It must be hard to lose a child. God bless you.